Supports deferred and forward shading. Targets DirectX 9, 11, OpenGL and OpenGL ES. High dynamic range shading, in linear space. Weather and day/night cycle, light scattering model for the sun. Full dynamic lighting and bump mapping. HBAO+, TXAA. Special effects: motion blur, color grading. 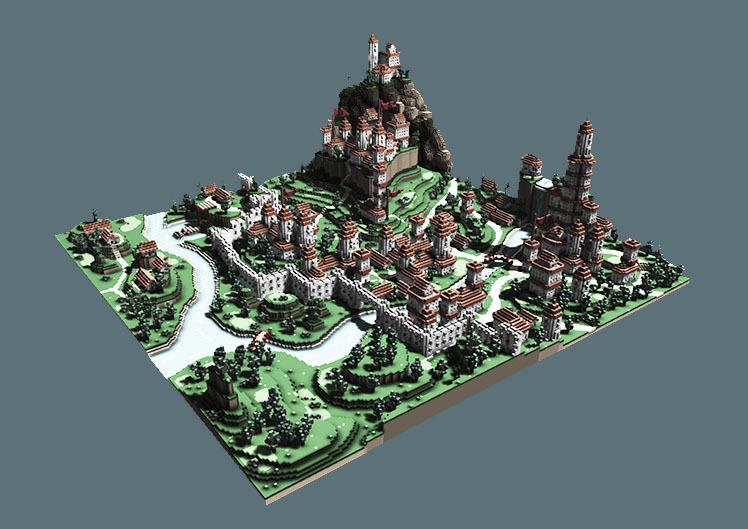 Shadow cascades, Exponential Shadow Maps. Efficient pathfinding for dynamic environment powered by Recast technology. Navigation meshes are dynamic and can be updated by moving objects. Multi-layered animation system. State machines for AI. Rigid body and multi-jointed constructions. Thousands of different physical entities simulated per frame. Undo/redo, drag and drop for assets, support for "fbx", "3ds", "obj" 3D model formats, asset + project explorer, hot-reloading of assets, in-place gaming, Cinematic editor, flexible UI. Intel Level Up 2009 Challenge. “I know your Deeds” Game prototype. 1st place in "Best Game on Intel® Graphics" category, 2nd place in "Best Threaded Game" category. Intel Perceptual Computing Challenge, 2013. 1st Prize. 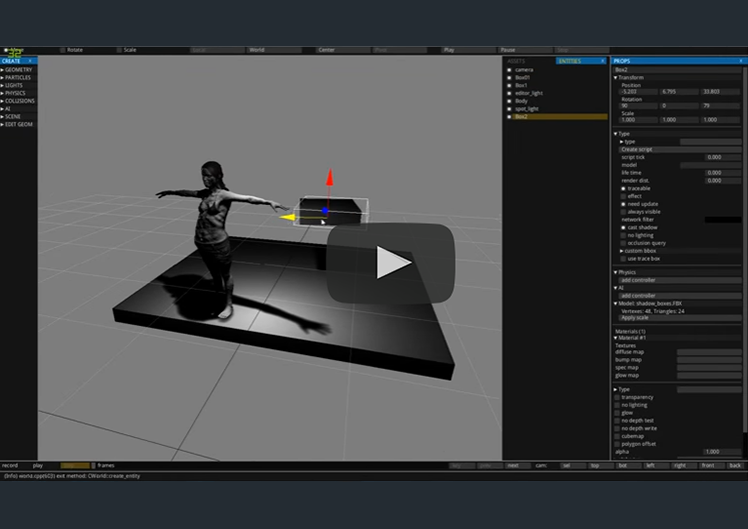 Demo application to sculpt 3d surfaces by bare hands using Intel RealSense 3D Video + Depth Camera. Voxel Tank game (alpha), released on the Google Play Market. 35 000 downloads. Multiplayer tank game in a completely destructible voxel world! 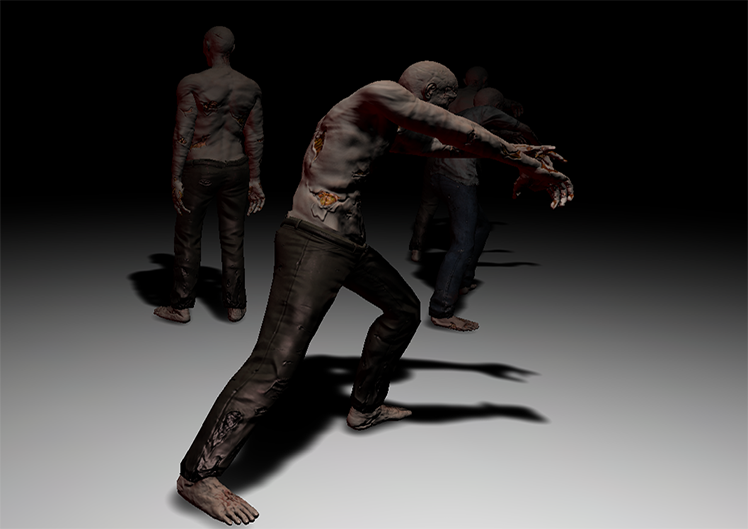 "I know your deeds" challenges players to survive over the course of months and years, trapped in a city dominated by nightmarish zombies. The game is about a family of zombies trying to survive in our human world. You play the little zombie-girl Susie, helping her parents and her little brother find a medicine against their disease while fighting with humans and solving puzzles. The Mercury prototype is a gesture-based digital sculpting program, using the Intel Creative Camera. Voxel-based editing with symmetry, undo-redo and rotating objects by your hands. Engine is still actively developed.